Welcome to Indio Real Estate where you can access all Indio homes listed on the local MLS. Below is a sample of available properties and you can find many more by following the City of Indio real estate link at the top of the page. If you have any questions or would like to set up a private showing, please contact us online or give us a call at 760-285-3578. Indio, California, is the Coachella Valley’s oldest and fastest growing city. It is located at the east end of the valley and is surrounded by tall mountain ranges to the north, east and west, then slopes southward to the valley’s desert floor where its official elevation is below sea level. Indio’s unique geography is a major factor in attracting vacationers, new residents and businesses, all seeking its year-round warm climate, magnificent views and relaxed and diverse lifestyle. Indio is nicknamed the “City of Festivals”. People from around the world flock here to attend annual festivals like Coachella Fest, Stagecoach Country Music Festival, the International Tamale Festival, the National Date Festival, the Southwest Arts Festival, the Palm Springs Kennel Club Dog Show and much, much more. Equestrian has a strong presence in Indio, as it is home to two world famous polo clubs, The Empire and Eldorado Polo Clubs, as well as the renowned HITS desert horse show circuit. 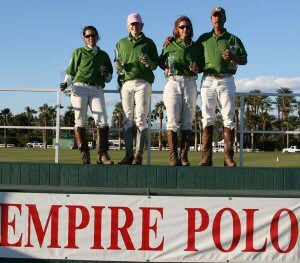 The Empire Polo Club is known for more than just polo. It is a special events venue offering annual polo matches, polo lessons, beautiful grounds available for booking private events, and special attractions such as the Coachella and Stagecoach Festivals already mentioned. Empire’s Tack Room Tavern provides a rustic and relaxed setting where one can dine, dance and socialize, while the nearby Date Shed offers live music. Indio is a haven for golf and tennis enthusiasts. There are a number of excellent golf clubs located in Indio. The Plantation, Heritage Palms, Sun City Shadow Hills, and Indian Springs, to name a few. Indio’s Golf Club (public) is the second longest par-3 executive course in the country and is open at night until 10 pm. Another unique attraction Indio has are the series of bold, colorful murals, which adorn buildings throughout the city. These murals depict Indios’ diverse history and heritage. For education, Indio is served by two public school districts: Desert Sands Unified and Coachella Valley Unified. These schools have received high ratings under the California Distinguished Schools program. Several private schools are located in Indio and in nearby Bermuda Dunes. Higher education opportunities include the College of the Desert, and the new East Valley Campus, which opened in 2002. The combined campuses of CA State University-San Bernadino, and University of CA-Riverside are also nearby. As they say in Indio, “It’s the Place to Be” . . . an inviting atmosphere in which to work, live and play.